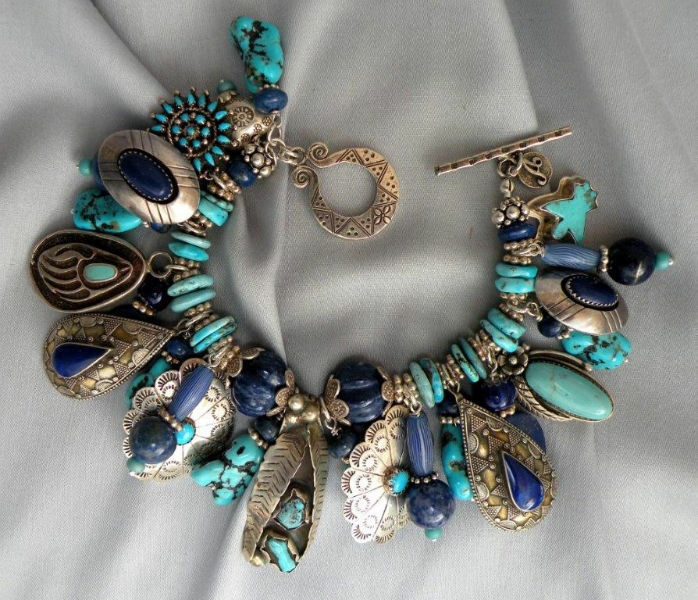 This bracelet speaks for itself, both in its colors and in the charms themselves. The focal charm is a simple but elegant vintage star, it makes a strong statement and is backed with a bundle of 3 little charms that make the bracelet pretty no matter how you turn your wrist. On the back of the hollow star is a tiny pinpoint depression which testifies to the reality of its respectable history. 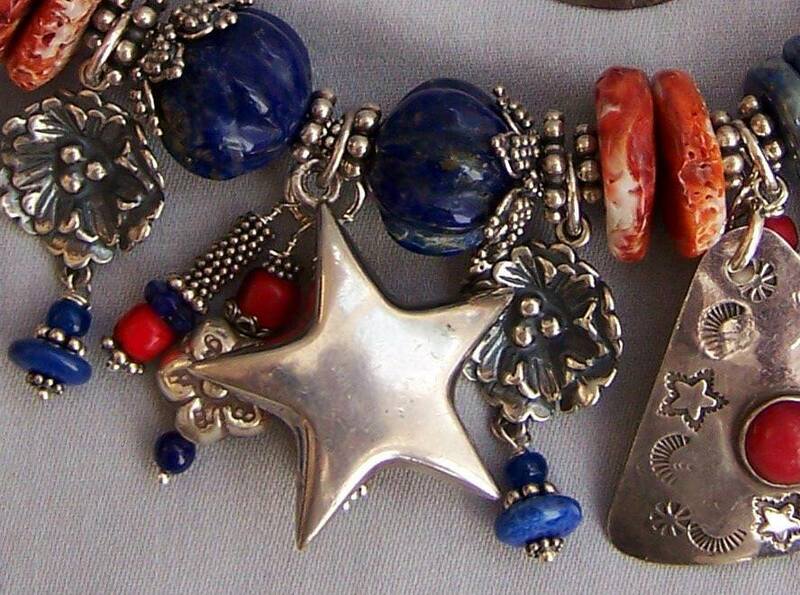 There are sterling silver flowers flanking the star with little lapis dangles, then there are vintage triangular sterling charms with coral stones and etched stars, with markings on the back that indicate they were made by a talented silversmith in Mexico. Then come apple coral oblong charms with multiple little stones set around a larger center, marked sterling, and then another set of charms with 5 coral stones, also marked sterling. 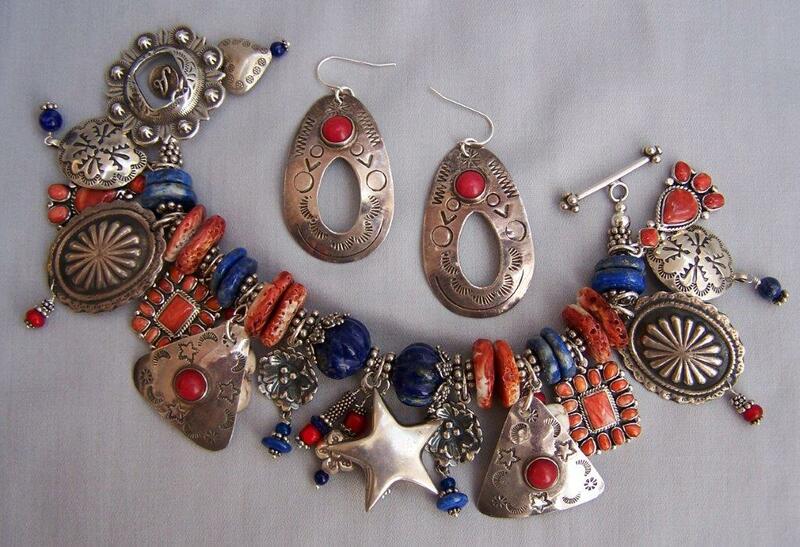 There are 4 vintage sterling concho charms each with little dangles of trade beads and lapis. Lastly, there are 4 white turquoise slices, which compliment the strong reds and blues of the bracelet charms. 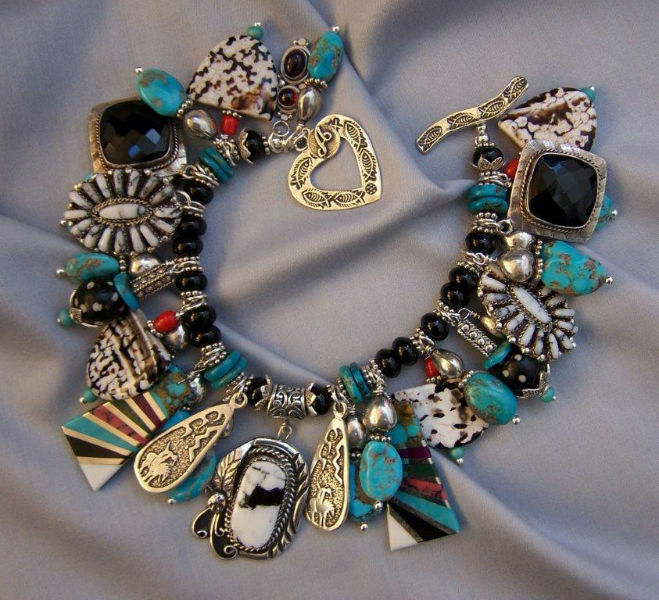 The band also reflects the strong colors with both vintage lapis carved melon beads and sterling bead caps at the center and then spiny oyster and more lapis discs that complete the bracelet band. 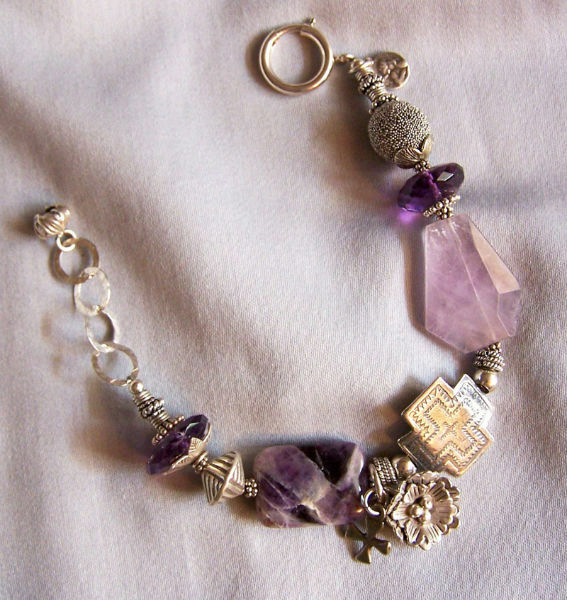 The 7.5″ bracelet has a decorative sterling toggle clasp, large and easy to close. I found the pretty earrings some time ago, again crafted by a talented silversmith in Mexico. 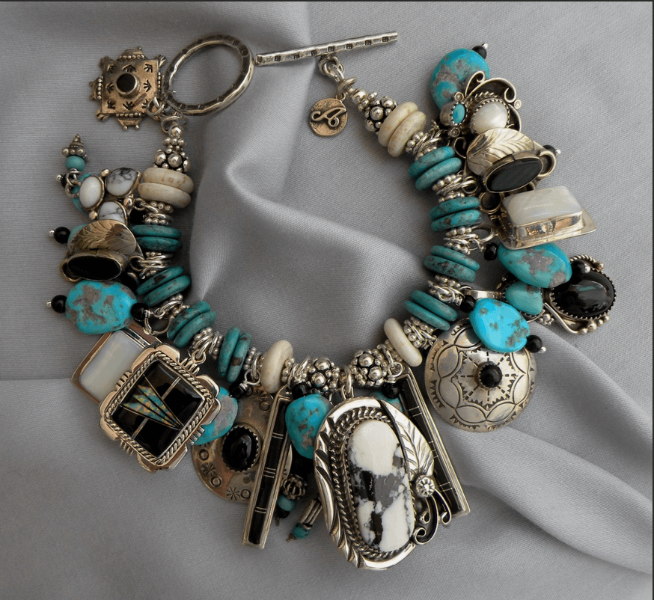 They are marked sterling, with coral stones, they hang 2″ including the hook, and they look to have been repurposed from post to dangle in their vintage lifetime. They looked so pretty and appropriate with the bracelet that I decided they belonged together. Enjoy!